PRATT – Deer, antelope, and elk hunting seasons for 2015-2016 will be determined when the Kansas Wildlife, Parks and Tourism Commission meets on March 26. The meeting will be held at the Kansas Museum of History, 6425 SW 6th Ave., Topeka. The meeting will begin at 1 p.m. with time for public comments on non-agenda items, followed by a general discussion period. Topics covered in the general discussion include Secretary’s remarks regarding agency and state fiscal status; an update on the 2015 legislative session; a briefing of the department strategic plan; an update on tourism division activities; a preview of the new department website; webless migratory birds, early migrant bird seasons; and the Fort Riley deer season. Workshop topics for the afternoon session, which will be discussed for potential regulatory action at a future meeting, include public land regulations. The commission will recess at 5 p.m., then reconvene at 6:30 p.m. at the same location to discuss any remaining workshop items and begin the public hearing. Public hearing items to be discussed and voted on during the evening session include season dates, bag limits, and permit requirements for antelope, elk, and deer. 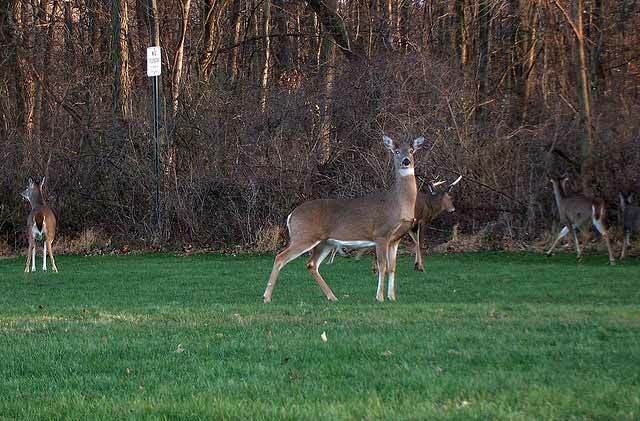 Secretary’s Orders for deer permits will also be discussed. Time will be available in both the afternoon and evening sessions for public comment on non-agenda items. If necessary, the commission will reconvene at the same location at 9 a.m., March 27, to complete any unfinished business. Live video and audio streaming of the meeting can be accessed by visiting ksoutdoors.com. If notified in advance, the department will have an interpreter available for the hearing impaired. To request an interpreter, call the Kansas Commission for the Deaf and Hard of Hearing at 1-800-432-0698. Any individual with a disability may request other accommodations by contacting the Kansas Wildlife, Parks and Tourism Commission secretary at (620) 672-5911. The next commission meeting is scheduled for April 23, 2015 at the Great Plains Nature Center, 6232 East 29th St. N, Wichita.